The life of a Christian is one of ever deepening conversion. God’s love for us is deep, and that depth is unfathomable. We are called to seek after God, and we do this through prayer, worship, praise, repentance, and education. No part of the human person – be it mind, body, heart, or spirit – remains untouched by God. 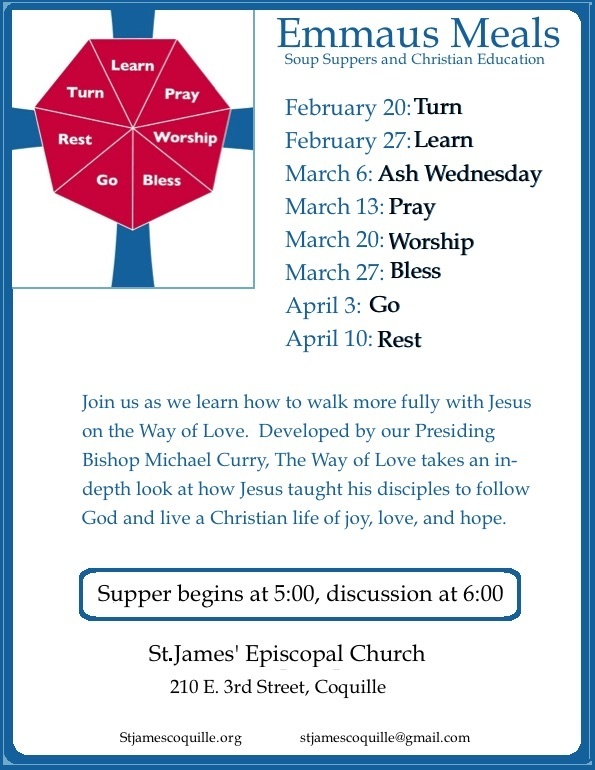 As Christians, we at St. James’ take great joy in learning more about God and the work of God in the world. Our principle time of education is Wednesday nights, beginning at 5:00. 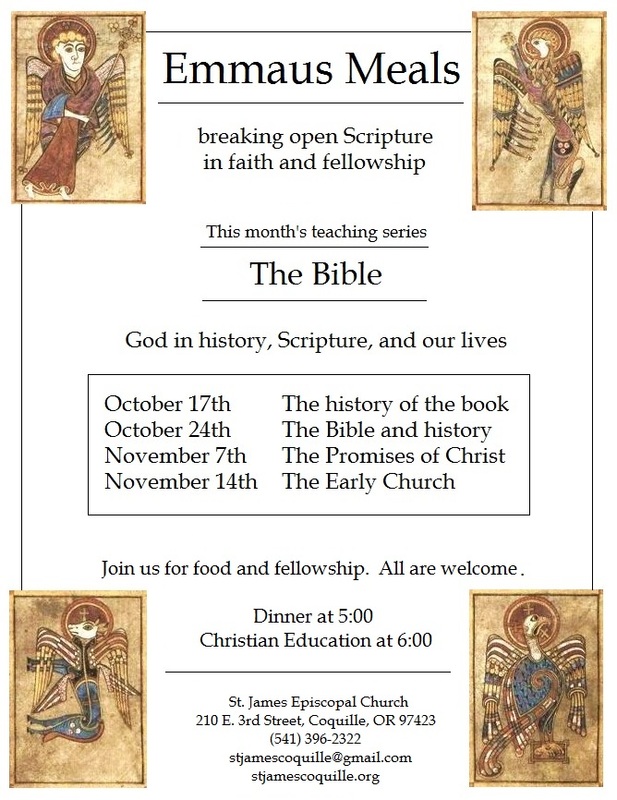 Here, we gather to break bread with one another and participate in a variety of teaching series. 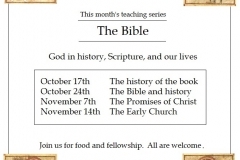 These series are provided by our priest and other members of the community. 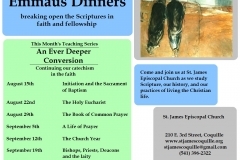 Topics range from studies on the sacraments to labyrinths, from centering prayer to church history. All are welcome at these meals, whatever your creed, interest, or affiliation! Our dinners begin at 5:00 p.m., and our education begins at 6:00. If you want to come to one and not the other, feel free! 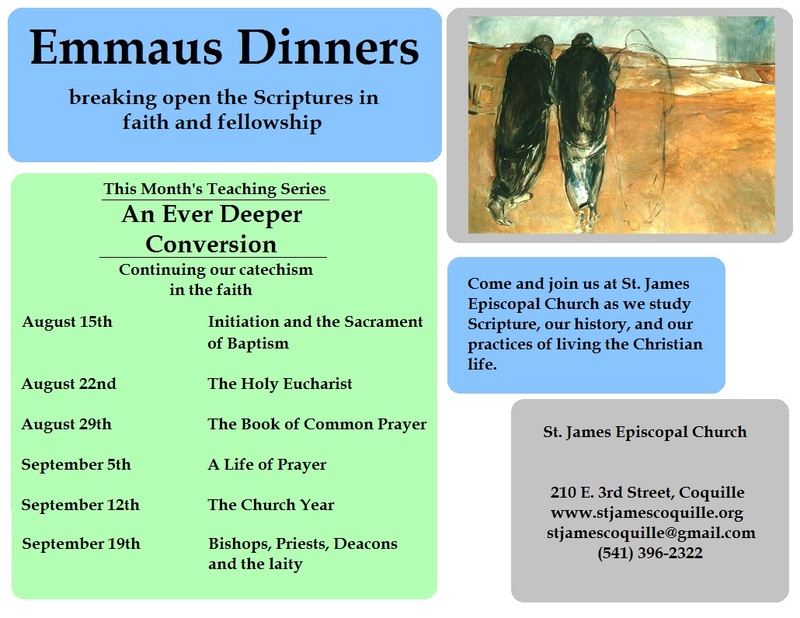 Our next Emmaus Meals is on “the Way of Love” and begins on February 20th.